There is something mesmerising about a circle. It is primal, complete and inclusive. The round necklace collection at BlueStone re-creates the eternal beauty of this all-time favourite accessory. A necklace is an eye-catching accompaniment for any jewellery lover. Wear them in pure gold or embedded with stones, they always accentuate the attire and complement the wearer. At BlueStone, we have an excellent collection for kids and women and with various discounts and home try-on options; it is easy to add one to your jewel box. In the Stone Age, vines and animal fibre were used to tie together naturally occurring resources such as shells, stones or seeds and the oldest known necklace to the human race was born. With the advent of Bronze Age, metals like bronze, copper, silver, and gold were cast into shapes and the modern necklaces were created. Combined with precious and semi-precious stones, necklaces were made popular during this period. Later in the Modern era, they got categorised as Collar, Choker, Princess, Matinee, Opera and Rope necklaces based on the length of the chain. 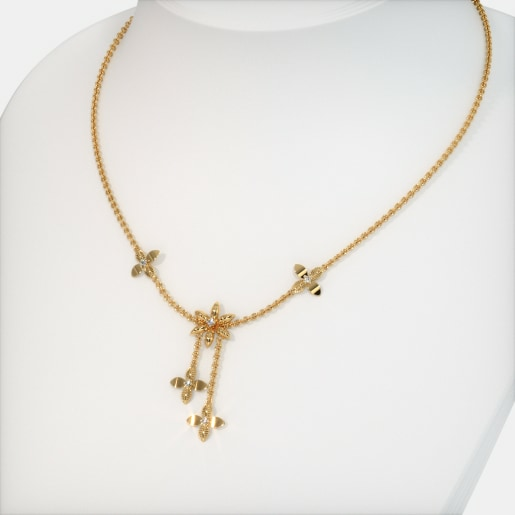 Necklaces have existed throughout the various stages of history. They were particularly appreciated by the Royal families for their grandeur and glory. 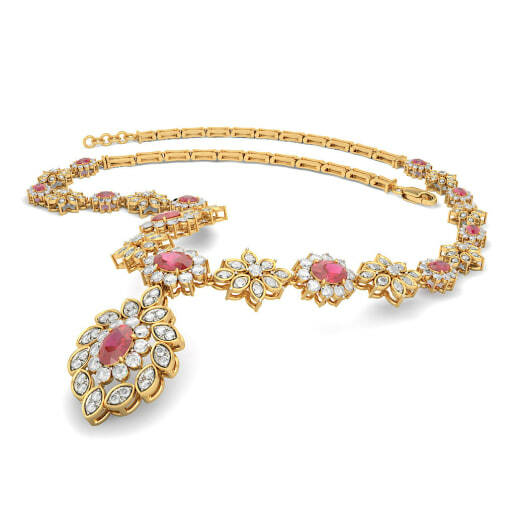 An interesting anecdote is the Patiala Necklace created by the House of Cartier in 1928 for the Maharaja of Patiala. 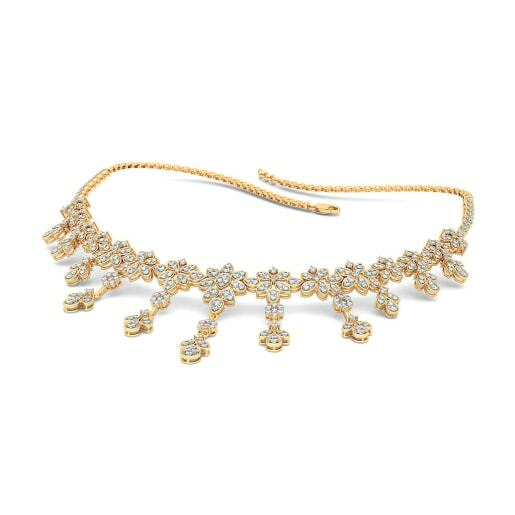 Made using the world’s seventh largest diamond and a whopping 2000 plus smaller diamonds the necklace was strikingly regal. 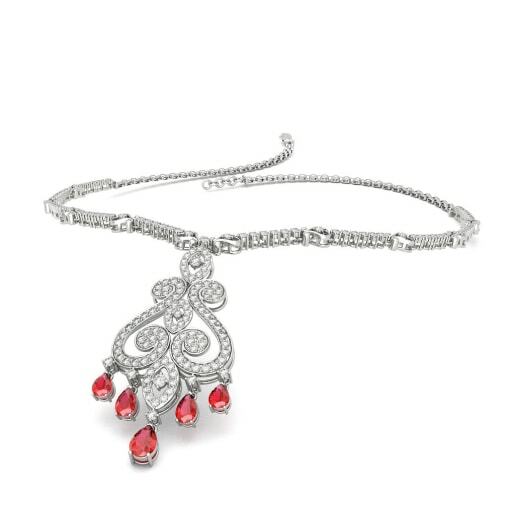 Coveted by many, the magnificent necklace itself went missing from 1948 without a trace. 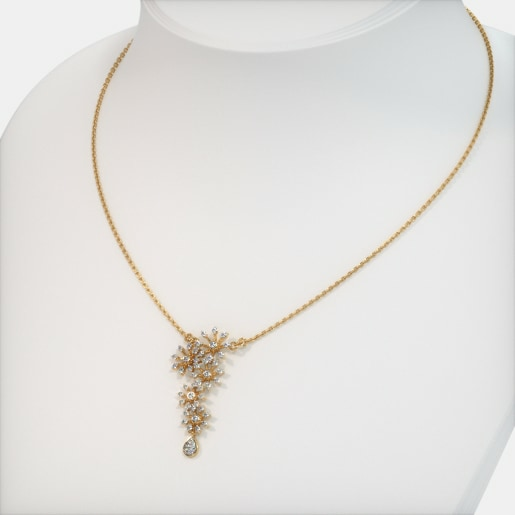 The authentic piece with the original diamonds has not completely surfaced so far, although parts of the necklace have been recovered over a period of time. What is better than a round necklace? Definitely one more round necklace. 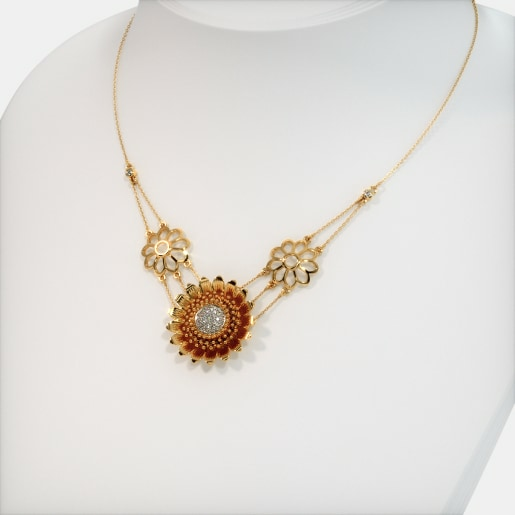 Check out the impressive designs - the traditional pattern in the Lavanya Mayuri Necklace with the dancing peacock in diamonds or the Vishwaroopini Necklace in gold. The competition is intense. 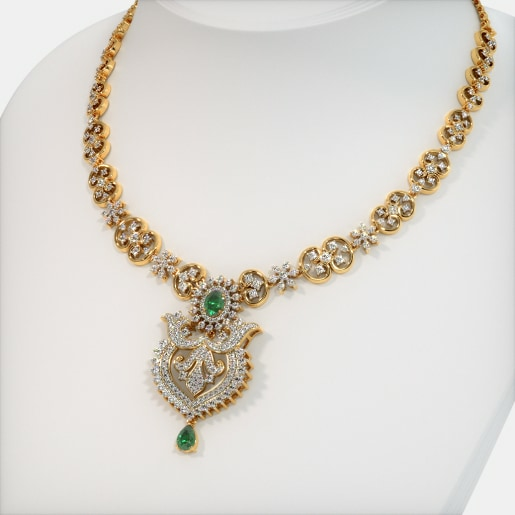 Emeralds and diamonds are a winning duo - and we have the Shilpkaar necklace to prove it. Intricately drawn patterns add zing to your outfit with the layered Bayonet Axis Necklace. The asymmetrical designs in the Axis Necklace range is a show stopper. 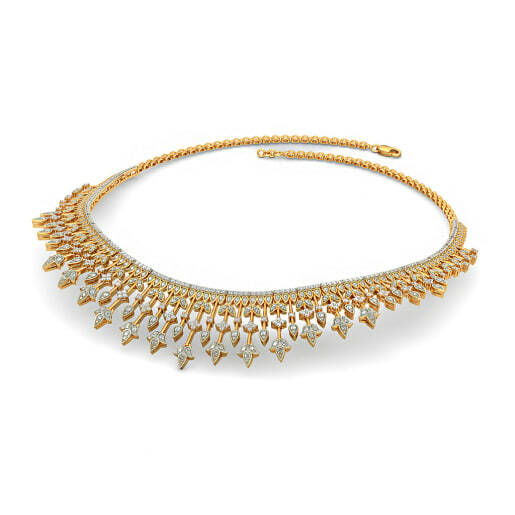 Fenced Axis Necklaces and Tripartite Axis necklace are part of this captivating compilation. Flowers are delightful and we have a collection that is inspired by these beauties. 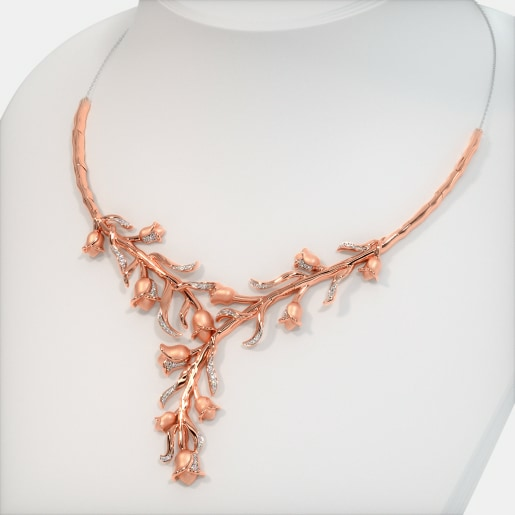 The Breezy Tulip Necklace is a basic yet innovative way of wearing a necklace in rose gold. 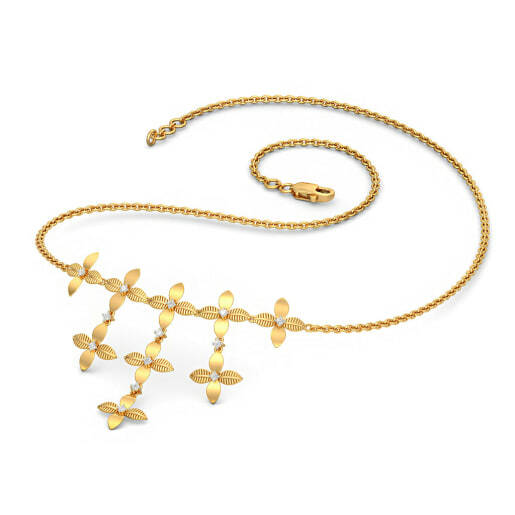 The flowery Freida Necklace is charming with the interwoven floral pattern. 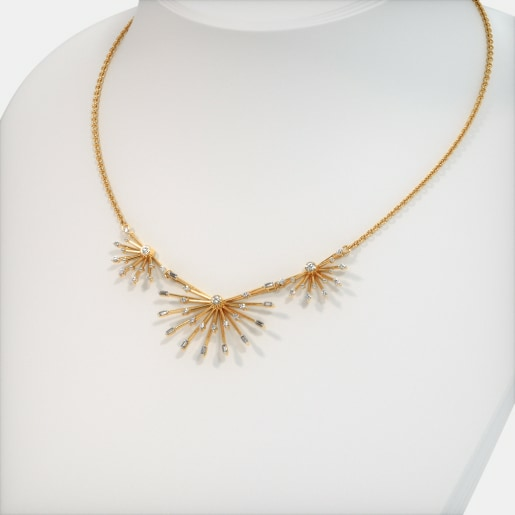 The Heavenly Sunflower Necklace is truly divine. At BlueStone we know a necklace is so desirable and hence we present a wide range in our kid’s collection. Who says necklace designs for kids have to be mundane. The fun and funky alphabet round necklaces accompanied with cute images will up the style quotient of your little rock stars. The apple of your eye will be mighty pleased to adorn the A for Apple round necklace, isn't it? And the pricing is definitely family friendly. We have kept our round necklaces’ prices as low as it can get. 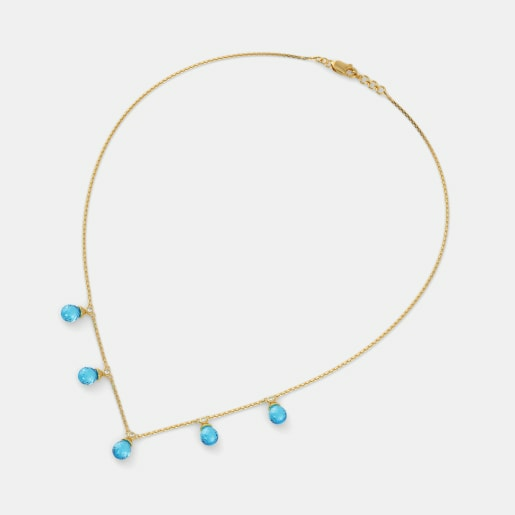 Gifting round necklaces has never been so much fun and affordable. 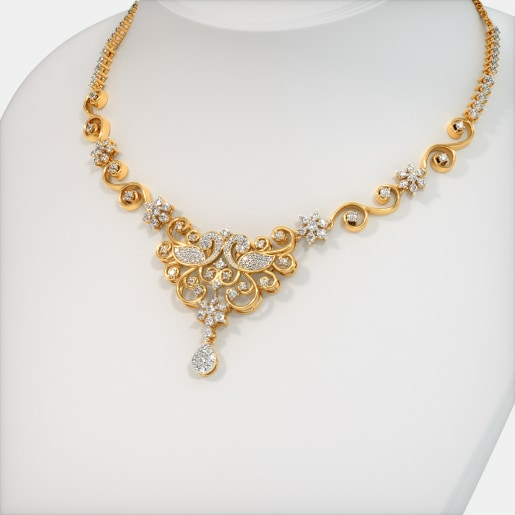 Long and short of it, we understand that necklaces are your choice of jewellery for any occasion. You opt for conventional presentations or the contemporary ones, our creations will never disappoint you. 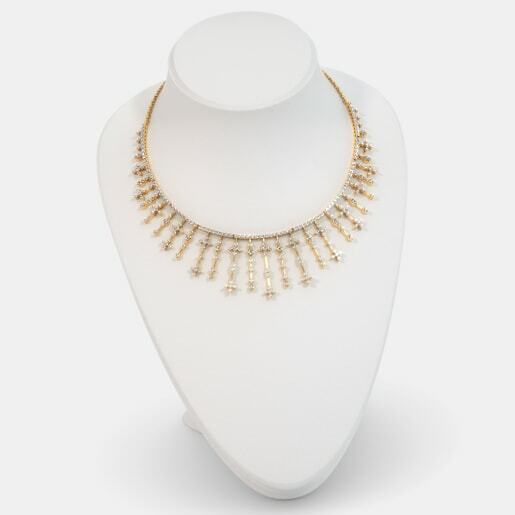 When you buy round necklace designs from us check out for our special deals.